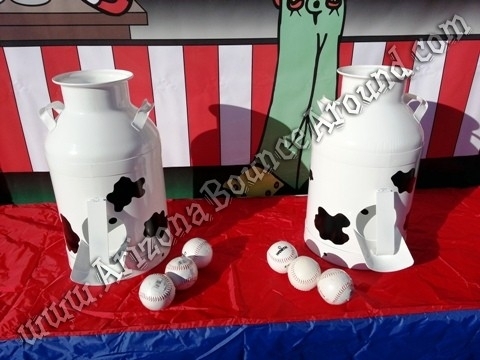 Our milk can carnival game price includes one milk can and 3 balls. 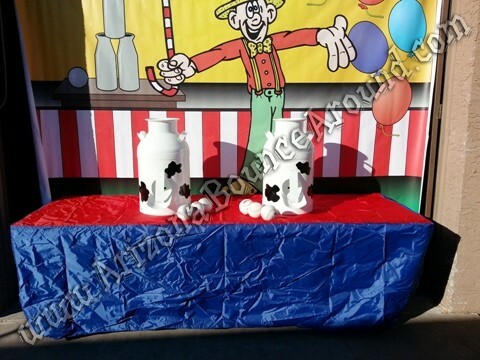 We rent carnival booths, tables and backdrops to complete your carnival themed look. 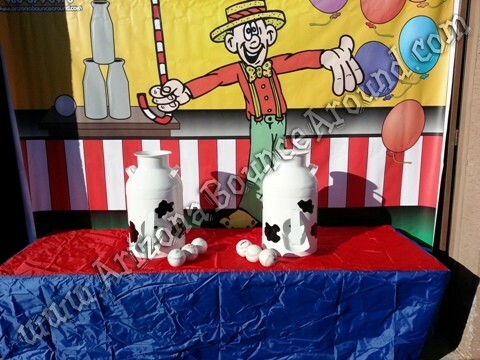 These milk cans will work perfectly on the floor too.